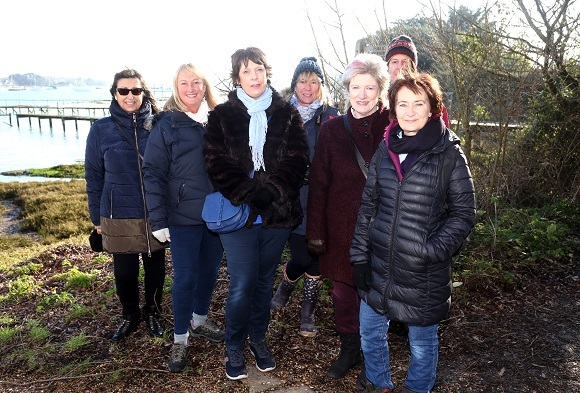 A NEW walking group has been created for people living in and around the city to hike and be sociable at the same time. Harbour Magic is for people living in Chichester and the surrounding areas and harbour village and a website was launched by Jo Losack just three weeks ago. Jo came up with the idea in September last year as she lives on her own and needed to improve her social life and now has 33 members in the group. She said: “I have lots of friends but mainly couples that were doing things together at the weekends so I needed to get out and meet like-minded people who loved the same sort of things as I do – the great outdoors, good food, good wine and good company! “There are lots of gym memberships and sport clubs to join but I wanted to offer variety – after all, it’s the spice of life! Jo decided she wanted the group to be for local people who loved living in Chichester and the surrounding areas. She continued: “We are spoilt for beautiful places to go and have so many really top-notch restaurants and cafes to go to in the area, you can never tire of things to do. “Harbour Magic holds regular monthly events which include walks around the harbour and in the South Downs, suppers at our many local country and harbour pubs, and breakfasts out. “We have a Culture Vultures event to include the arts and an Explore Even More event which takes us a bit further afield. People can view the next two months’ activities ahead and book straight away using the website. “I’ve set this up because there must be others who live in the area who are alone and just want companionship and fun and to enjoy the area where they live,” said Jo. “If you are thinking of joining , I offer a free month’s membership so that you can come and try a few activities and events and meet some of the lovely members.